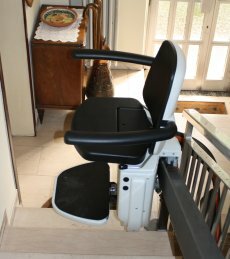 Nothing beats the comfort of moving freely around your own home with a SITES Chair Stairlift. SITES Chair Stairlifts are a solution to the difficulty of climbing the stairs so you can live more serenely. An extremely flexible mobility system: SITES Chair Stairlifts adapt to every staircase, whether straight or curved, with only minimum aesthetic impact.